Thanksgiving is a wonderful holiday in the U.S. But the food associated with this holiday, especially the turkey and stuffing, aren’t commonly made by most consumers, so there are food safety risks. 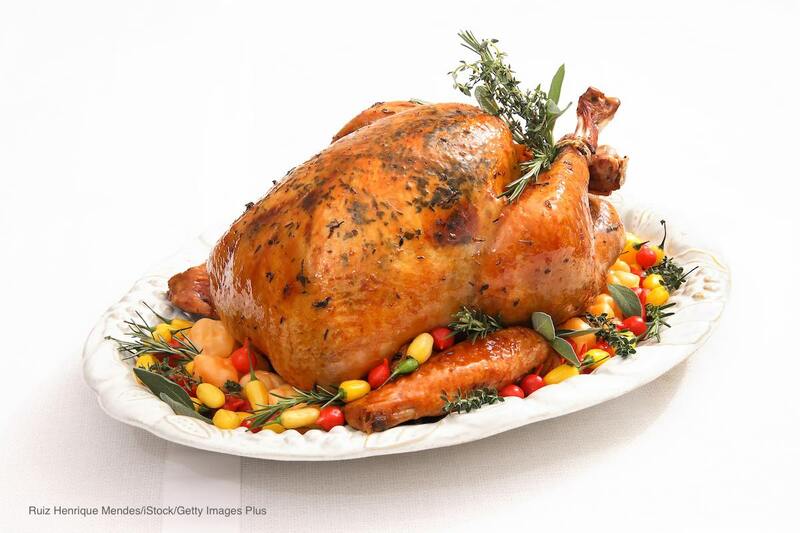 Foodsafety.gov is offering help with Thanksgiving food safety tips. Safe turkey handling is especially important this year, with the CDC notice of a deadly Salmonella Reading outbreak that has sickened 160 people, hospitalized 93, and killed one person in California. Officials have named some types of Jennie-O ground raw turkey in association with this outbreak, and recalled those products, but have not identified any more brands or producers of turkey. That means it’s up to the consumer to make sure the turkey is safely and properly prepared. These Thanksgiving food safety tips will help. At this point it’s too late to thaw a turkey, but you can cook your turkey from frozen. This method is USDA approved and was developed by a food safety expert. This is the only way I cook my turkey, and the results are excellent. First, never wash a raw turkey. You will not get rid of any pathogens, your kitchen sink will become contaminated, and the bacteria can aerosolize and spray around your kitchen. Watch out for cross-contamination and keep turkey juices away from surfaces and other foods. Make sure, whether you are cooking a fresh turkey, a frozen turkey, or a thawed frozen turkey, that you cook it to 165°F as measured by a reliable food thermometer. Check the center of the stuffing, too, if you stuffed the turkey. After your feast, make sure you refrigerate leftovers promptly, within 2 hours after they came out of the oven, not 2 hours after you start serving. Set a timer to remind you. You can refrigerate hot foods. Divide large quantities into smaller, shallow containers so they cool down quickly. Don’t store stuffing inside the turkey. All stuffing should be completely removed from the turkey before you carve it. Finally, eat all of the Thanksgiving leftovers in four days. If any food is around longer than that, freeze it. Follow these Thanksgiving food safety tips and have a wonderful meal!